When I make corn on the cob, I always think of my mother. She could sit and eat corn on the cob and nothing else for dinner. Just make sure she had butter and salt, and she was good. I am the same way. To me, nothing says summer like a few ears of super sweet, tender, buttery, salty corn. I make it the way my parents made it. 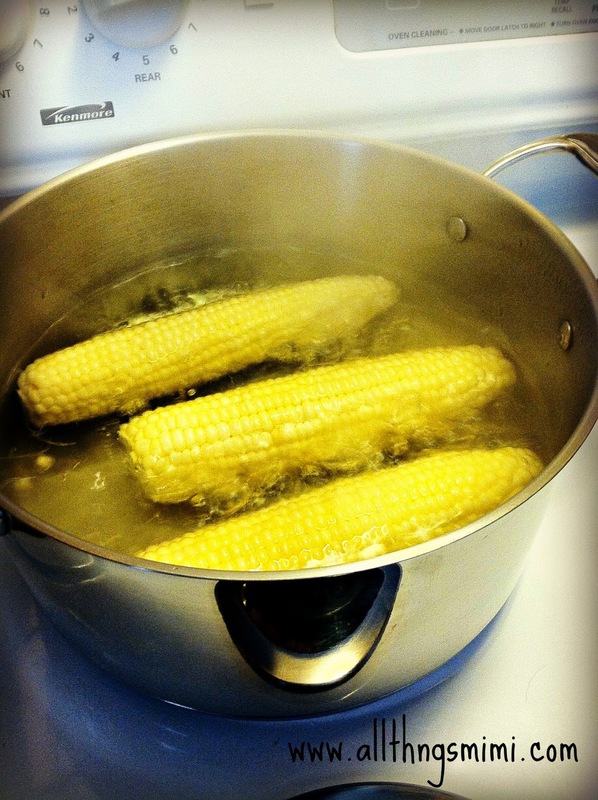 I bring enough water to cover the corn to a boil, then drop the ears in and add about a tablespoon of honey. I cook it for about 6 minutes, then turn off the heat. I let it sit in the water until the rest of dinner is ready. Of course, it wouldn't be the same without some butter and salt!